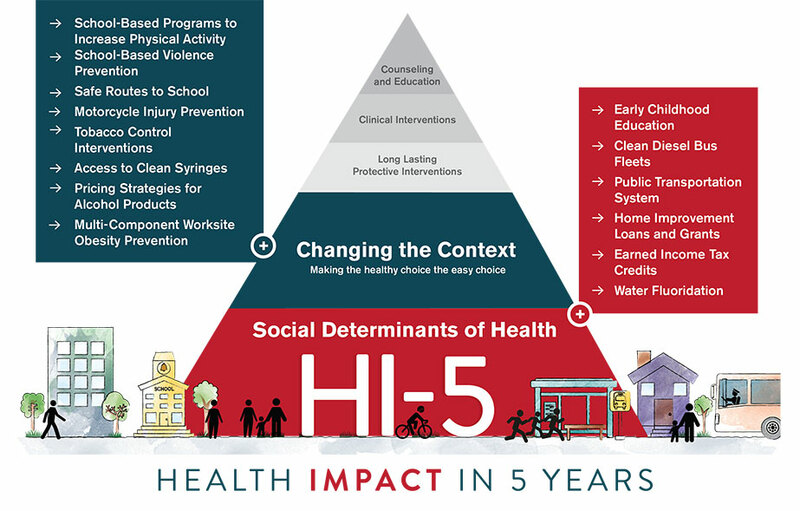 The public health impact pyramid visually depicts the potential impact of different types of public health interventions. At the base of the pyramid are those interventions that have the greatest potential for impact on health because they reach entire populations of people at once and require less individual effort. The HI-5 Initiative maps directly to the two lowest tiers of public health pyramid with the greatest potential for impact.